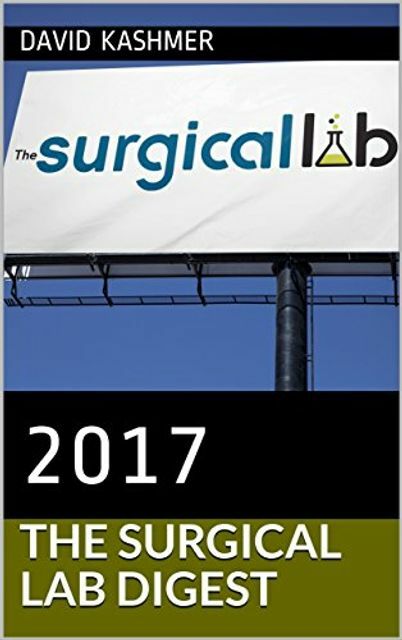 Here are some of the favorite posts from The Surgical Lab for 2017. Take a look at the Amazon page beneath to pick up the 2017 work in a format that you can read on the go. It’s that time again! 2017 is nearing a close, and this is the time of year that The Surgical Lab offers a digest of some of our most viewed (and controversial) posts. Take a look at the Amazon entry for the 2017 digest, including posts like Healthcare Is A Decade Behind Other Industries and other key posts from the year!